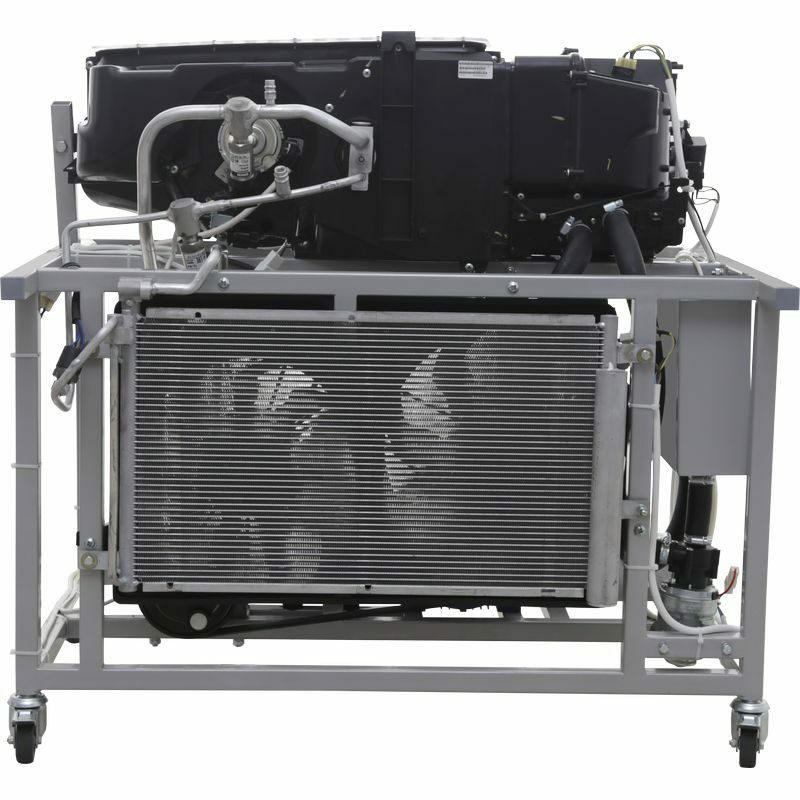 The laboratory stand is designed for studying of the vehicle air conditioning and climate control systems functioning and learning practical skills in service works and filling the system with cooling agent. 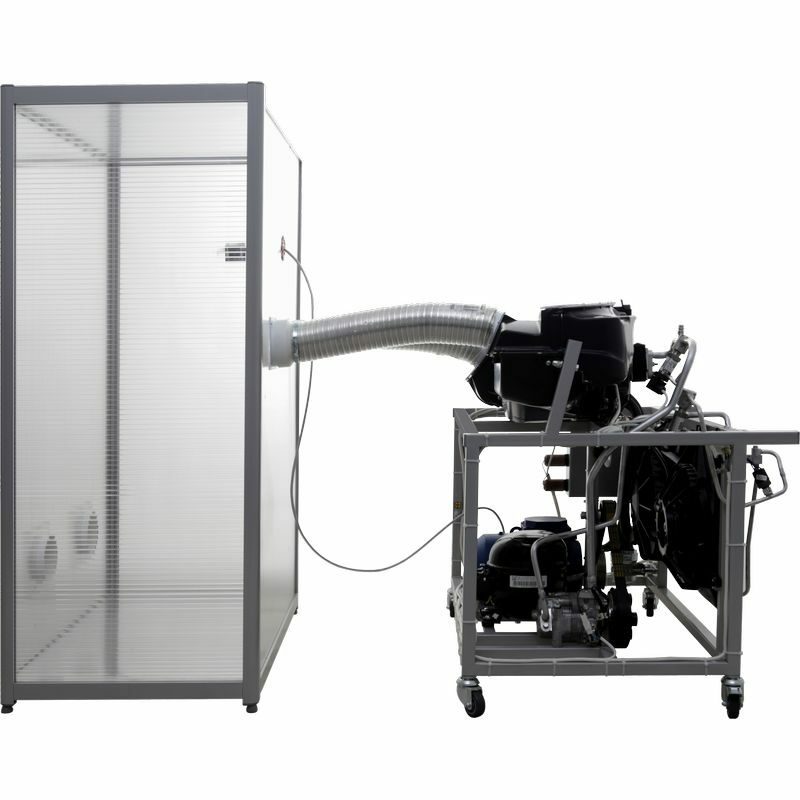 The laboratory stand is designed for carrying out laboratory works in universities and secondary technical educational establishments for the study of functioning of the vehicle air conditioning and climate control systems and learning practical skills in service works and filling the system with cooling agent. 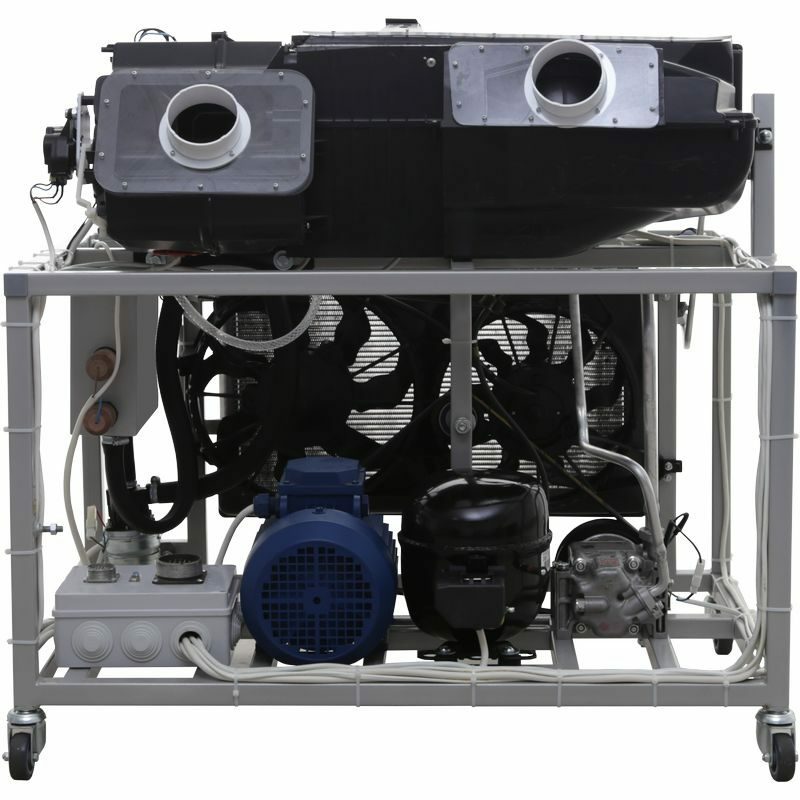 The stand reproduces the system of a vehicle air conditioner with standard hydraulic and electric connections. 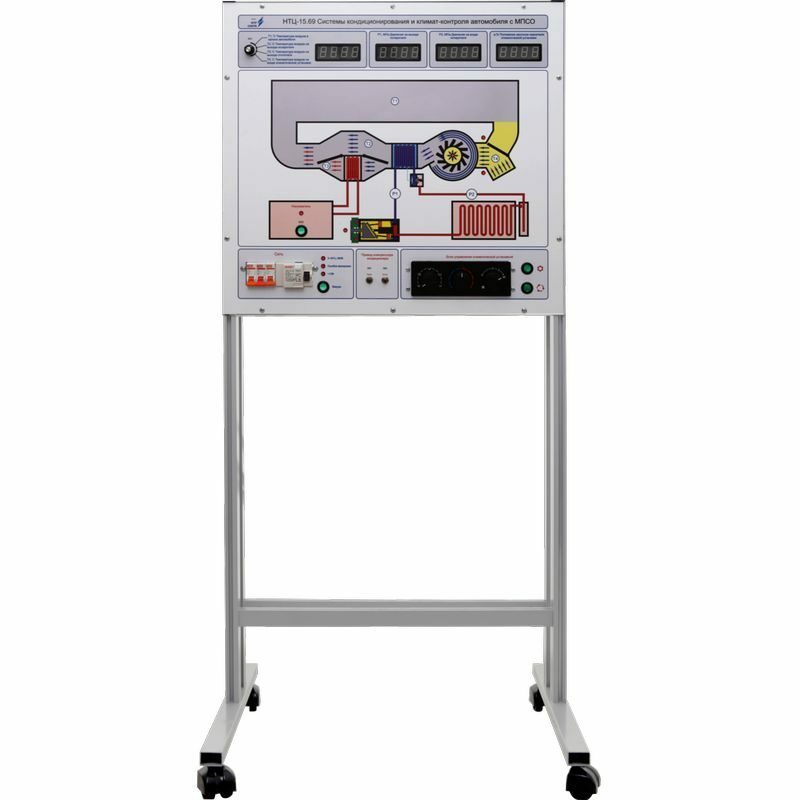 The stand provides visualization in studying the structure and functioning of the vehicle air conditioning system. 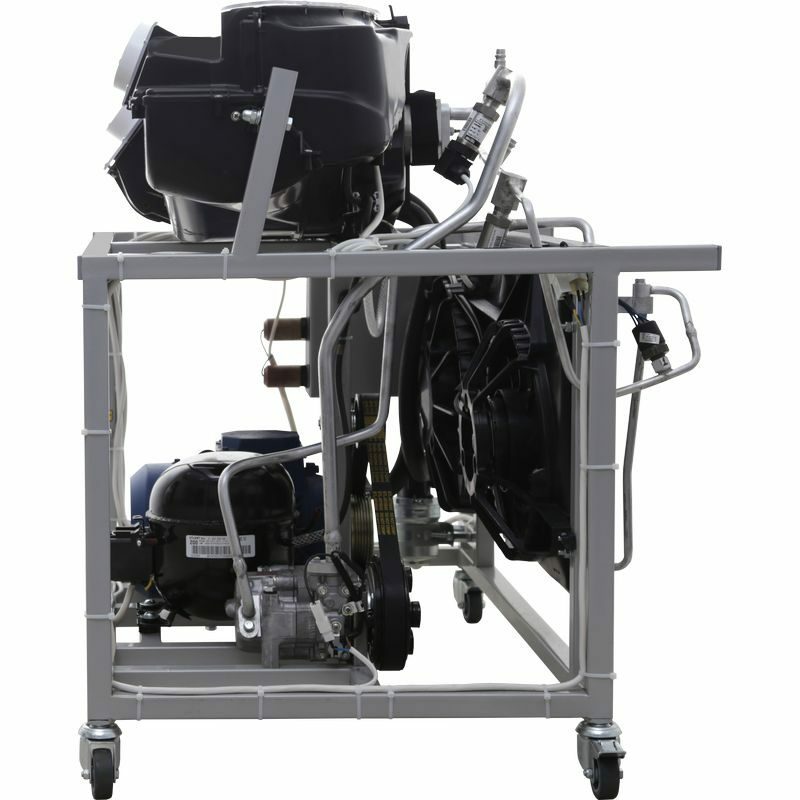 Structurally the stand is a metal frame on which a motor (representing vehicle internal combustion engine), battery for feeding electric circuits, compressor, radiator and front panel are mounted. 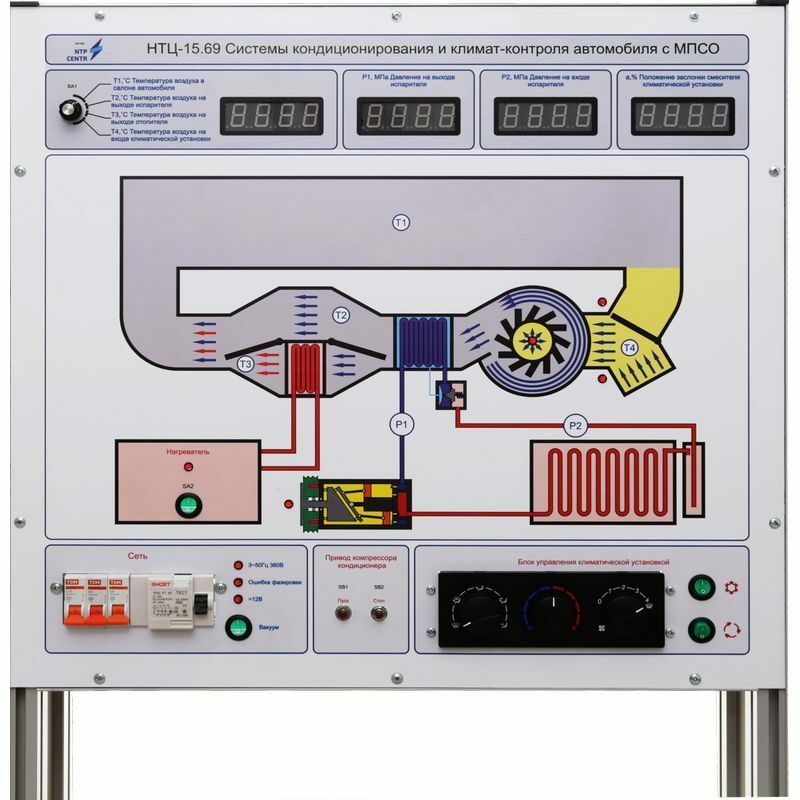 The front panel of the stand contains the vehicle air conditioning functioning system, mains switch and measurement system indicators. The measurement system of the stand contains digital devices indicating current temperature at the condenser and evaporator input and output. 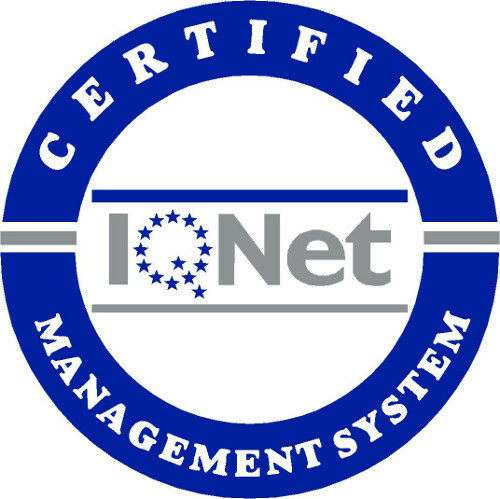 Software and user’s manual are supplied with the laboratory stand: a complete set of methodical and technical documents for teaching staff. Study of the climate system’s schematic diagram. Study of operating characteristic of air conditioner. Study of air recirculation system. Study of heater fan construction. Study of principle of operation of heater valve. Study of operation of air conditioner in the climate control system.